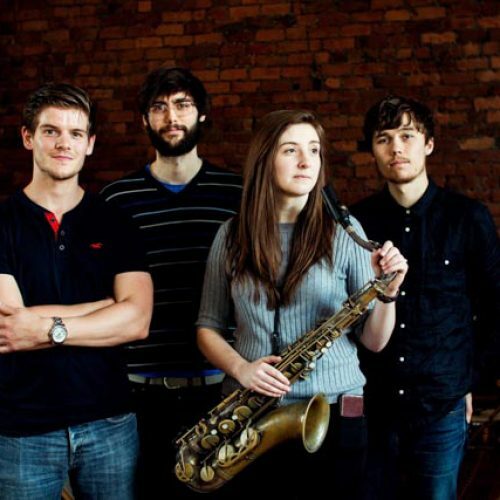 Emma Johnson sax, Calvin Travers guitar, Angus Milne double bass, Ali Wells drums, Nishla Smith vocals. Emma’s first project for small ensemble aims to explore the different textures and possibilities that emerge from a small band of close knit musicians performing together. Emma’s writing for the quartet displays an accessible, contemporary sound rooted by strong melodies. Emma Johnson’s “Gravy Boat” with Nishla Smith @Seven Arts – Sunday 10 Feb 1.30pm £10/8.